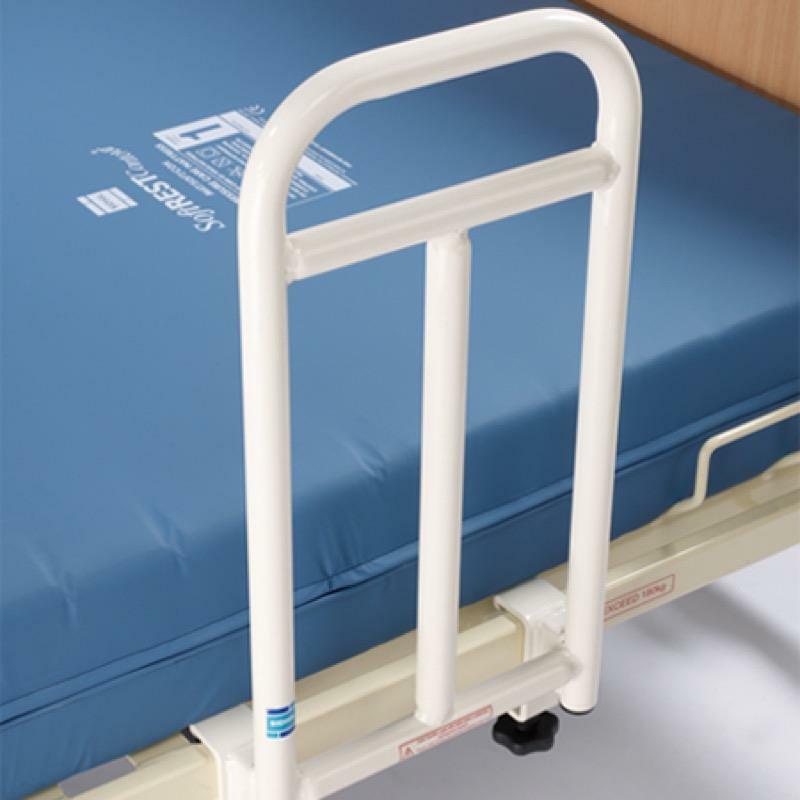 Designed specifically to attach to the framework of a Bradshaw Bariatric bed, this unique grab handle can be fitted when the wooden side rails have been removed. It will assist in the elevation of a user to a seated position and will also aid the transfer of a user to a wheelchair, commode or to a standing position. The Bradshaw Bariatric Grab Rail is designed to fit onto 50mm x 30mm rectangular tube. We can’t recommend the grab handle to be used on anything other than the Bradshaw bariatric bed.